own. Thank you for supporting the brands that make Me and My Pink Mixer possible. 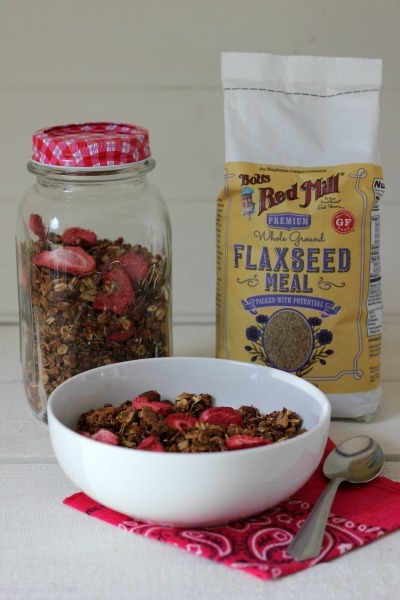 my favorite yogurt topping and evening snack. I was right! 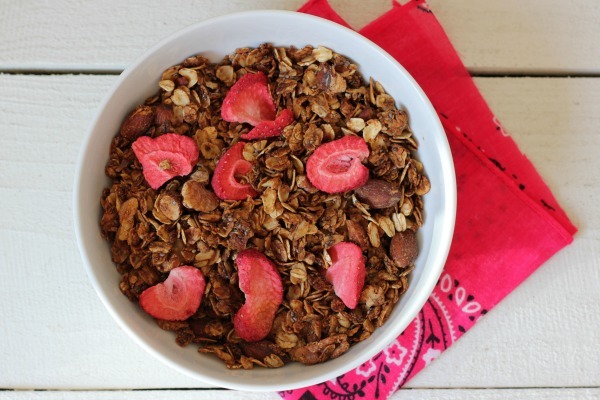 a little oat flour to the granola by pulsing rolled oats in a food processor. served in a bowl with a little milk. Yum! meal, chia seeds, almonds, walnuts, cinnamon and salt. 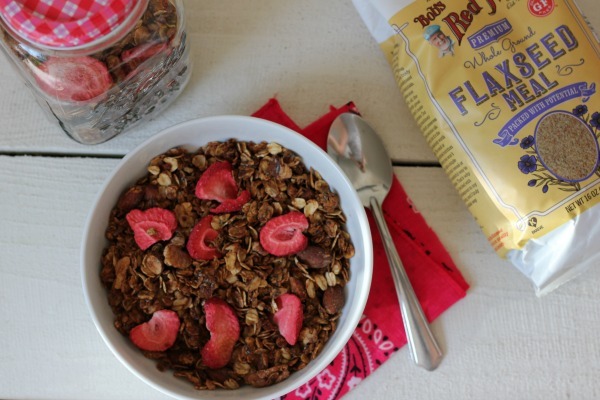 ingredients over the dry and mix well until oats are completely coated. 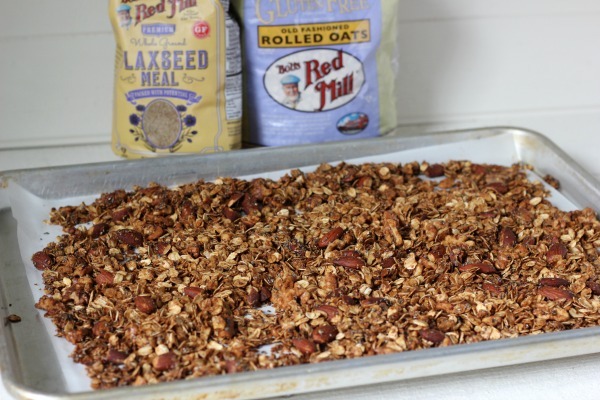 Spread granola evenly on the baking sheet and bake for 20 minutes. 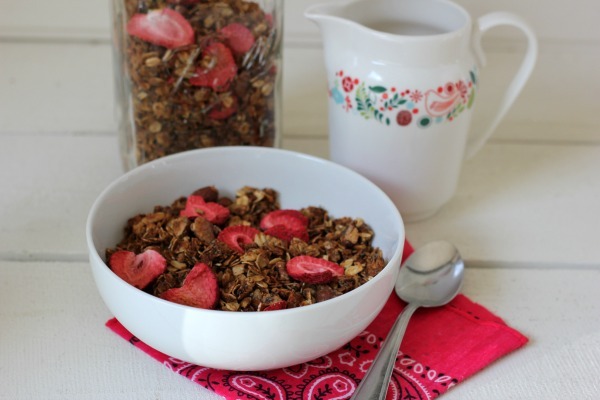 Stir granola and bake for additional 15-20 minutes or until slightly browned. and transfer to an airtight container. Best used within 7-10 days.